KBS 2TV Monday and Tuesday drama series “Love Rain” published a series of stills of Seo Joon (Jang Geun Suk) and Jung Ha Na (YoonA) are having a sweet dating. In the episode 16 of “Love Rain” aired on May 15th, 2012, Seo Joon and Jung Ha Na broke up due to complicated four-corner love affair, however they still cannot forget each other. In episode 17 to air on May 21st, 2012, they will go to the countryside market for a dating. 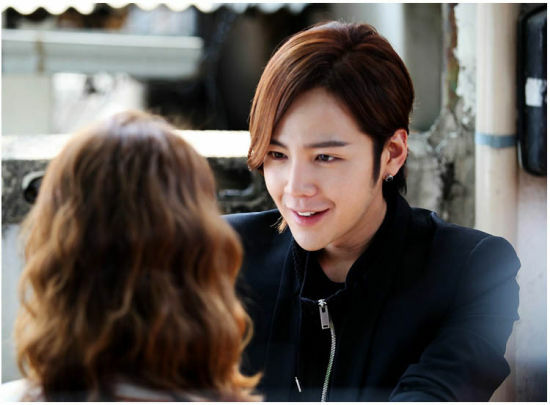 Jang Geun Suk and YoonA completed the shooting of the scene in a market in Gangwon-do. The appearance of both persons attracted many onlookers. They are like a pair of real couple, looking into each other with smile, holding hands while moving forward, the sweet look attracted jealousy.